#MondayMotivation – 10 New LO’s to do the BLUEPRINT this week. That’s what I’m looking for! I got an awesome testimonial on Friday and more are on the way! The success stories are pouring in. I had one Broker partner double their fan page likes and engagement in 1 week. Another gained 17 leads in his first week. The BLUEPRINT not only works, it’s teaching LO’s to LEVEL-UP! With a slower time going on for most, the LO’s that make strides are the one’s developing new relationships now. What better way to start a new relationship with a RE Agent than giving them a lead. You become an authority that way. And your not begging for business. You come with business setting yourself up for success. Now’s the time to network for next year. Many in this industry “wind down” around the Holiday’s and don’t return to work until mid January. What the BLUEPRINT can do for you is help you start using social selling in your daily routine and help you start networking like never before. 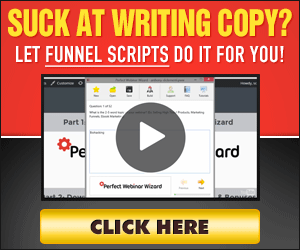 As a result you will learn to drive leads to your page organically! Yep, FREE LEADS ANYONE? This is not rocket science but rather just work like you would do with going to RE Agents, but without leaving your office. More importantly what the BLUEPRINT can do for you is help you develop the fan page relevancy that you can use to rippen your page for paid ads, that’s where you get leads hands over fist! But no matter what there is no “set it and forget it” in being a king at lead generation. If you want to dominate your local area, you have to put in the work. Let the BLUEPRINT show you a step by step guide on how to do just this.